At only 16 years of age ,young pretty faced Barbadian singer Rihanna moved to the USA to pursue a recording career. Her dreams were brought into reality after she was signed to Def Jam under the guidance of Jay-z.She was seen as a 'good girl' who behaved decently and was probably like the Taylor swift of our time.Her debut album entitled “Music of the sun” spawned hit single ‘Pon de replay’ thus ushering her into stardom. After the success of her debut album, Rihanna released her second studio album 'A girl like me ' Her second release showed her more matured side.She sang about infidelity in her hit single 'Unfaithful ' and she scored her very first no.1 single, S.o.S. However after her first two albums Rihanna ditched her good girl image; She cut her hair short, started wearing red lipstick and a little less clothes and then released her biggest selling multi-platinum album ‘Good girl gone bad’ which spawned three no.1 singles ‘Umbrella’, ‘Disturbia, and ‘Take a bow’. She now became known for her new aggressive nature. In 2009 singer Chris brown was arrested for assaulting Rihanna who was then his girlfriend. After the whole world found out about this, Rihanna changed from bad girl to dark girl. Her fourth album revealed her love for dangerous games like Russian roulette, her fantasy for ‘rude’ boys and her feelings for fellow women in the single 'Te amo’. 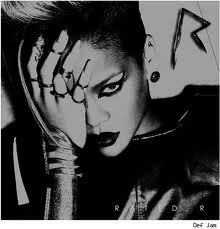 In 2010 Rihanna returned with her fifth studio album ‘LOUD’. She once again changed her image from a dark girl to a red haired princess who loved flowers, forgot her name and thought she was the only girl in the world! In 2011 Rihanna returned to the scene and this time round she ditched her colorful hair and clothes! Instead Rihanna became an emotional girl whosang about how hopeless her love life was in her hit single We found love. Now with her new album coming out, the big question is what will be her next image?? ?Tell me what you think in the comments!